Herbs; these are small plants with huge benefits. There are numerous herbs which are produces in the lap of Mother earth. And as a fact; even a grass produced from soil has some properties and benefits in it. These things look simpler but are embedded with multiple benefits. One o the effective gifts of nature is also in the form of herb called “Lavender“. Here, we will be talking about one of the flowering herb called ‘Lavender’. Lavender is a herb. The flower and the oil of lavender are used to make medicine. Lavender contains an oil that seems to have beneficial effects and might relax certain muscles.Lavender (Lavandula angustifolia) has a sweet, floral aroma that is soothing and refreshing. Lavender’s aroma is great for relaxing and winding down before bedtime; add to bath or diffuse to create a calming and comforting environment. Lavender essential oil may compliment your favourite shampoos, lotions and skin care products. Because it is the most versatile of all essential oils, no home should be without it. During periods, one of the common problem is ‘cramps’. This leads to heavy pain and a feeling of discomfort. Take few drops of lavender oil and rub on the abdomen area where you are suffering. It gives you warmth, and hence brings relief within 15 minutes. Headaches can of many types with its own definite causes. It can be due to worries, stress, cold, seasonal flu or can be the symptom of some diseases. Lavender oil works for all and treats headache. Rub some lavender oil on the forehead. The combination of peppermint oil and lavender oil works excellent in the cases of headache. So, if you have peppermint oil then take both the oils in a same proportion and apply on the forehead. Well, this is the starting of winter season and many where people are heavily suffering from viral fevers! You can treat those seasonal issues using lavender. Make a mixture of lemon, lavender and peppermint. Mix three together; and use as a capsule to engulf. You can also rub this mixture on your temples and the sideways of nose. Also apply it on your feet soles and inhale it with breathing deeply. Muscle pain is a common problem among all whether it is an adult, older persons or teenager too. If you have got any kind of sprain or muscle pain then apply this oil on the area and massage gently. You can even heat it for better results. Bathing makes us filled with energy and fresh too. Now, here is the very brilliant even the easiest way to make yourself calm and energetic. You must have heard; that soft and soothing fragrances plays a vital role to make us relaxed and mentally fresh. Add 5 drops of lavender oil in the bath water. It will not only make your fresh and calm but will also abide any kind of body odour. It is a natural scent. Isn’t it! During summers, a glass of fresh, iced and herbal drink makes us cool and free from atmospheric heat. There are several drinks such as rooh afza, sattu drink, shikanji, iced tea etc. Now try a new one. Add lavender to sweet iced tea or in lemonade. It will give you a brilliant taste and is very refreshing. You can even make tea using lavender petals. 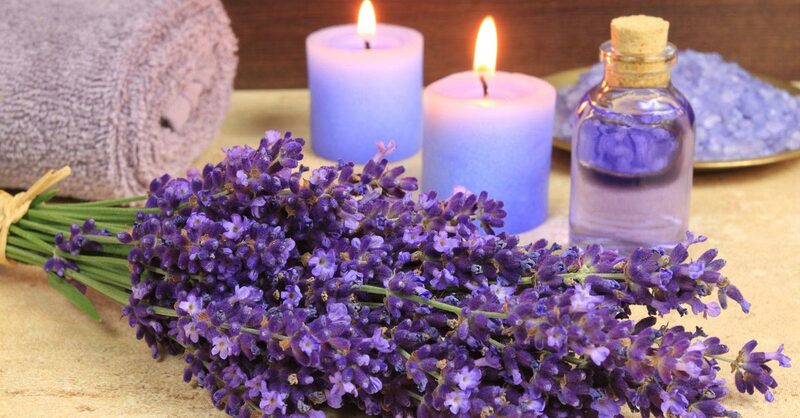 The oil of lavender is soothing for us, but is hated by flying insects. If you are worried about how to get freed from insects in your kitchen, our how to make your nights mosquito-free nights; then here is a brilliant way. Take a bowl of water and add 6-8 drops of lavender oil decorated with lavender flowers over it. Keep it on the centre place of kitchen. You will observe that slowly, insects are saying good-bye to your kitchen. Before going to bed apply few drops of lavender oil on your arms, legs and body. It will keep you safe from mosquitoes. Lavender and Frankincense are excellent to treat blemishes. Blemishes mostly appears after an age of 30 but can also be early due to several reasons. Apply these both on your skin regularly. It will erase those unwanted blemishes and will also make your skin youthful. Insomnia also called ‘Sleeplessness‘ is a kind of neural disorder in which the person is unable to have a sound sleep. Due to this, many other diseases like depression, hypertension etc occurs. You can use lavender oil to cure this. Before going to bed, apply few drops of lavender oil on your soles of feet. Rub and massage gently. It will make you sleep well and peacefully. Instead of purchasing all those costlier scrub products; make one of your own which is fully natural and best for your skin. Take sugar, olive oil and lavender. Mix these three and it will form a wonderful exfoliating scrub. You can use this as your body scrub and can also use as a face scrub. So, in this way we saw how this gorgeous plant can be so beneficial and good for health. Include this herbs in your life and make your life look alive. Take care and live well!